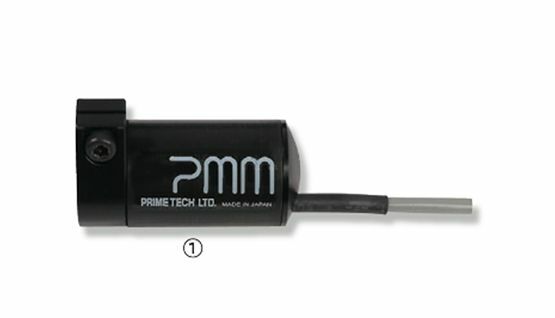 Delicate perforation of the membranes and easy operation are essential for micromanipulation. 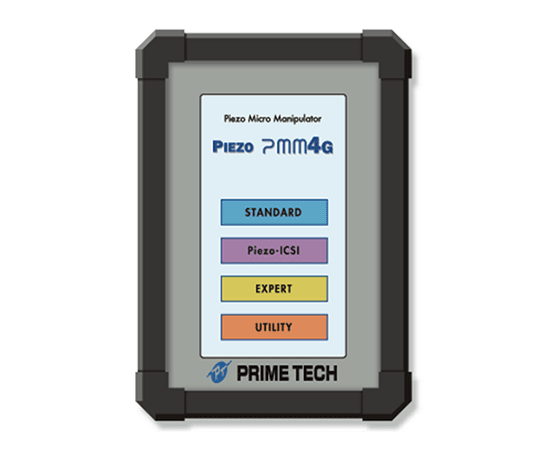 With our knowledge and well established experience in microinjection, and our long-standing expertise in piezo technology demonstrated in the very popular PMM-150FU, Prime Tech has created the new PIEZO PMM4G. 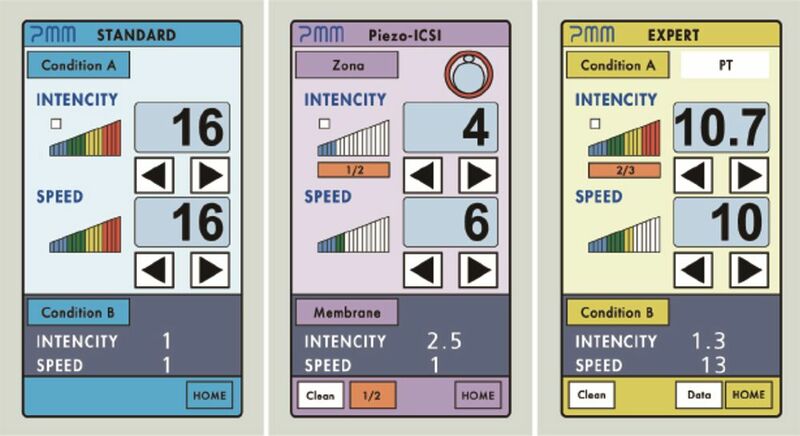 The improvements introduced in the PIEZO PMM4G include; a smaller and more effective drive unit, a more advanced user interface with a touch screen display, multiple programmable modes including Standard, Piezo ICSI, and Expert, and a piezo design which offers a more gentle and effective impact. 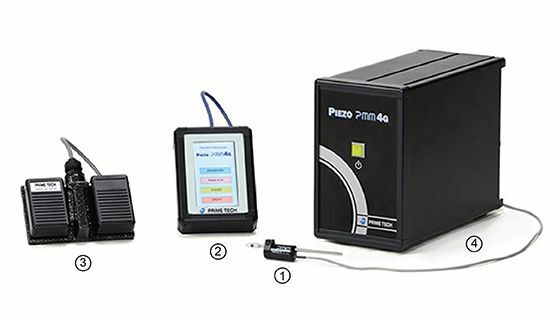 The PRIME TECH PMM (Piezo Micro Manipulator) was developed to simplify and secure the operations of micro manipulation of by utilizing a rapid deformation of piezo electric elements, which is an our original driving method. 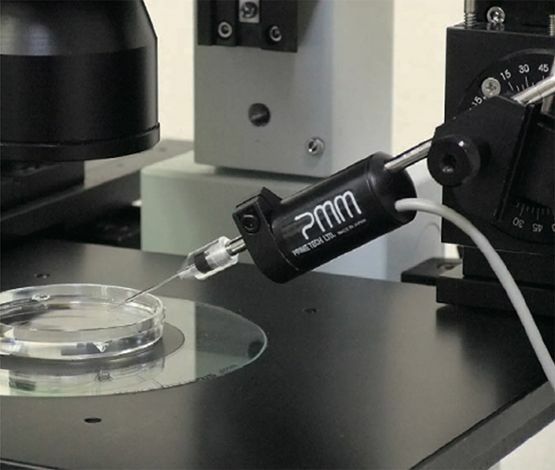 The PMM prevents the cell from being deformed or damaged inadvertently and the micro pipette can be smoothly inserted into the cell membrane. New type of user interface "TS-1"
TS-1 allows to set intensity much more minutely then conventional operation box "OP-15"
*Micropipette holder is not included in the system. *PMM is to be used for research only. Copyright © 2017 Bio Lab Solutions. All rights reserved.